If you have ever looked for a way to keep mosquitoes away from your space, then you have probably seen something called mosquito candles or citronella candles. These are candles that their manufacturers infuse with citronella oil and, in some cases, other essential oils. And because mosquitoes and other flying insects don’t like the scent of citronella oil and other similar essential oils the candles are able to naturally keep the mosquitoes away. So let’s find out a bit more about mosquito candles and look at the best citronella candles that actually work and will let you enjoy mosquito-free time outdoors and inside. Well, they are just like your regular candles but with one significant difference – the essential oil that it contains. They possess citronella essential oil which is lacking in the run-of-the-mill candles you might be used to. Citronella oil is obtained from the stems as well as the leaves of a lemongrass aka citronella grass plant. And, thanks to the citronella oil these candles have mosquito repelling abilities. This is why these pesky insects avoid areas where the candle is being burnt. However, what many homeowners fail to understand is that mosquito candles require the presence of the oil to work. Many people who complain of an ineffective citronella candle are using citronella scented candles, not candles containing the essential oil. Yes, there’s a difference! Because, while the candles made using the oil can keep out mosquitoes, the blood-sucking pests won’t be deterred by candles that are only citronella-scented. Besides the essential oil, the materials which go into the making of a citronella candle are the same as those used in the production of your regular candles. They include a wick, the wax and the containers the candles are stored in. One of the more significant benefits of citronella candles is their natural insect repelling properties. These candles produce a smell which cover-up the odor of gases and other markers that these insects are known to track and are attracted to. Chief among those are lactic acid and carbon dioxide. And, since humans produce these two substances in substantial amounts on a per-second basis, we are extremely susceptible to the parasitic activity of these insects. But interest in citronella candles didn’t start today. A tremendous amount of research has been dedicated to finding out what there’s to know about these candles and if they are efficient. And the results have been quite revealing. Where these citronella candles are lit, insect activity is incredulously limited. It’s like they just stay away to avoid expending the energy necessary to fly or crawl depending on the insect type. Chemicals such as citronellol, citronellal, and geraniol are considered the active components of the essential oil used in mosquito candles. 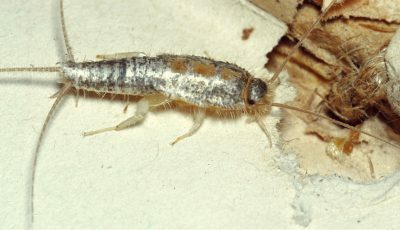 All three of them possess insect repelling properties. This makes a strong case for the use of citronella candles in keeping insects at bay. However, while citronella candles will repel insects like mosquitoes, they won’t kill the unwanted pests. If you’re interested in killing mosquitoes and other annoying insects then these candles certainly won’t be a good option for you. And also, the use of citronella oil is not limited to candles alone. Some perfumes and soaps are made using this essential oil. Considering the antifungal attribute of citronellal, it’s not difficult to understand why and if they will be able to keep the mosquitoes away. Using just one citronella candle to keep the insects at bay isn’t very effective in a larger area. If you don’t intend on staying close to that one candle, you might want to light several candles throughout the space. This increases the area protected by the scent of the citronella oil. And will increase the overall effect of the mosquito candles in a large area. The wick of a candle decides how fast it burns. If the visible end of the wick is rather long, cutting it to a reasonable length might be a good idea. This helps the wax melt slower reducing the combustion rate of the candle. And extending the time for how long the candle will be protecting you from mosquitoes. How to Choose the Citronella Candle to Buy? Knowledge of which citronella candle would be perfect for you is mostly dependent on where you intend on using such a candle and for how long. Some citronella candles might be okay for outdoor use especially if you don’t plan on staying close to the lit candle the entire evening. Because some citronella candles produce a lot of soot particles which when inhaled could pose health problems for those around. 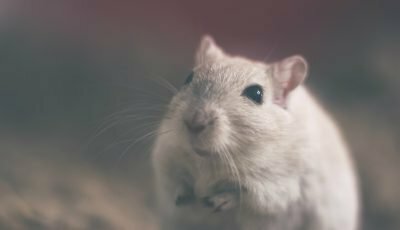 If you want a citronella candle for both indoor and outdoor use, make sure to check that the gaseous components released when the candle burns are not hazardous to both humans and pets. Look out for citronella candle with sweet smelling fragrances because these types of candles, although will keep the insects away will also emit a nice aroma. And if you’re already going to be surrounded by candles to keep mosquitoes at bay, it’s much better that the air is infused with an aromatic fragrance. Also, it is crucial that you don’t just buy a citronella scented candle. This has the same effect on insects as you just wishing they would go away. Before you make a purchase, you might want to look at the label on the product. This should provide some much-needed information about the candle. And if the candle was made using citronella oil, the label will clearly state that. Soy wax is an intermediate between paraffin wax and beeswax. It burns slower than paraffin but faster than beeswax. As previously stated, these candles are made using the essential oil obtained from certain species of lemongrass plants. When burnt, these candles produce a smell which masks the by-products of human respiration and perspiration, preventing insects from locating us and attacking us. Citronella candles do not produce any poisonous fumes. While soot may be deposited if, for instance, paraffin wax is used to make the candle, the candles generally do not cause any harm if used as stated on the label of the product. Citronella oil which is the active ingredient in these candles is not toxic or lethal to both humans and pets alike. 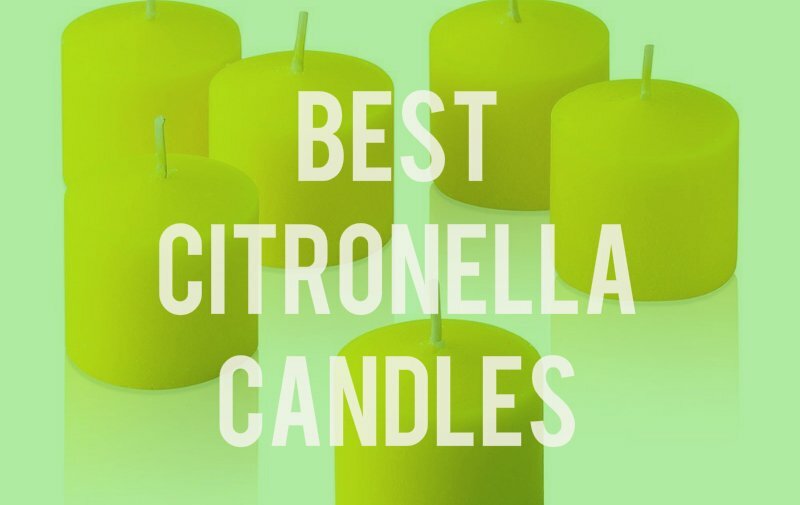 And now let’s look at some of the best citronella candles found on the market right now, so you could make the choice as to which mosquito candle to buy easier and quicker. Candles not only add romantic atmosphere but also add warmth to any space or situation. And candles look especially good in candle lanterns, no matter if these lanterns are placed indoors or outdoors. But for the lanterns to actually be useful, it is a good idea to use mosquito repelling candles in them. 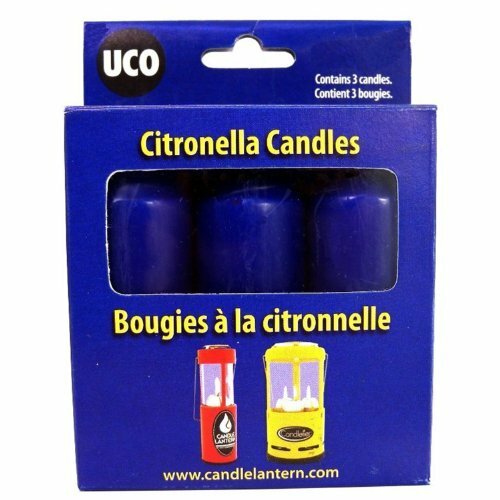 These particular bug repellent citronella candles are made by UCO Gear, a Seattle company that has been producing different gear for outdoors since 1971. They specialize not only in clothing but also different light and candle manufacturing for many different occasions. These candles are 5 ounces in weight and 3.5 inches in height, and because of that they are able to burn for up to 9 hours, so you won’t have to change them for a while after you first light them. This mosquito candle gets its insect repelling abilities from the paraffin and citronella oil combination that is used to make these particular blue insect repelling mosquito candles. The wick that is used in the making of these candles, too, is specially made so it maintains even flame height as well as burns clean, without giving out any soot. So you can use this candle not only outdoors but also indoors because the candle will give out warm light without producing big flame or smoke. Give more light to your area and keep the mosquitoes away with these UCO citronella lanterns. The citronella oil and paraffin combination gives the candles ability to repel mosquitoes the whole time they are burning. Their burn time can be too short if you need them burning for longer than 9 hours. A unique candle is this Cutter citronella candle because it has multiple wicks providing that the candle can work more efficiently as well as provide more light, and it also is great at getting rid of mosquitoes once it is lit. The manufacturer of this candle is Spectrum Brands Holdings, more specifically their Cutter brand, under which different mosquito and insect repellent products are made. These large citronella candles are 20 ounces in size and provide up to 40 hours of burn time. They are specially designed to not only prevent tipping, but also prevent wind from blowing them out, because the candle is placed in cone-shaped plastic case and the top part of that case is rigged with holes that allow for better burning of the candle but also doesn’t let the candle to be blown out by a stronger gusts of wind. On top of that these bug candles are made from a combination of real citronella oil and candle wax letting them actually have the ability to repel mosquitoes, because citronella is efficient natural insect repellent. And the three wicks help the candle burn brighter and therefore be even more efficient, earning it the title best citronella candle. 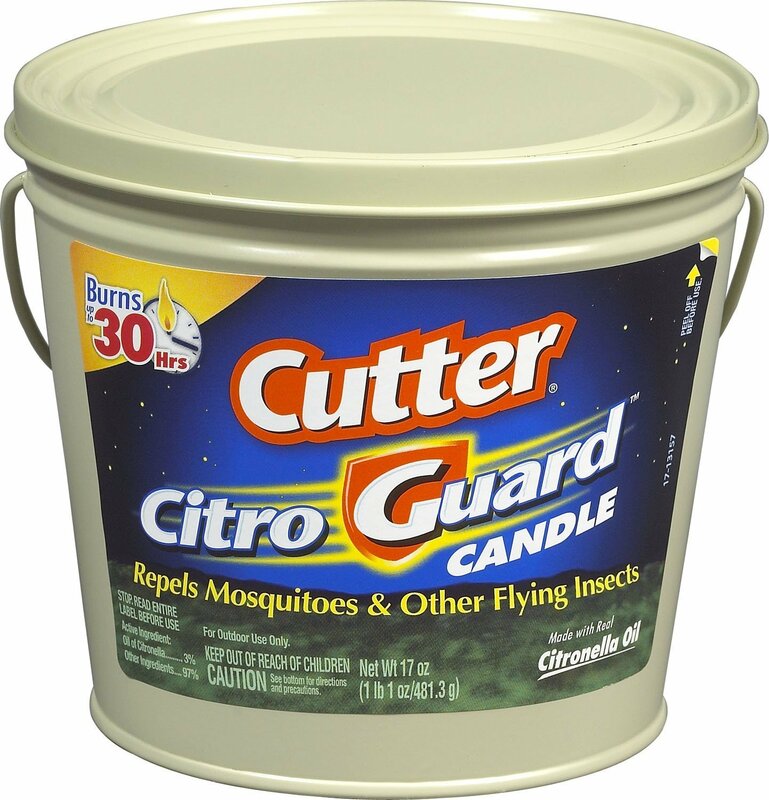 So enjoy the outdoors free from mosquitoes using only Cutters CitroGuard insect-repelling candles. Materials used to make theseCutter citronella candles are candle wax and real citronella oil, providing that the candles will actually work as mosquito repellents. The three wicks can create too big of a flame for the candle to be used on smaller tables or balconies. 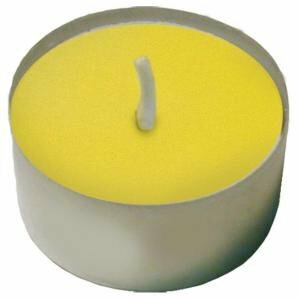 If you favor tea-light candles over bigger ones, then these citronella tea light candles might be just for you, because in addition to serving as regular candles, they burn with a slightly lemony scent that mosquitoes and other biting insects don’t like, therefore they serve as great mosquito repellents, too. These particular candles are made by Wacations, which is a candle manufacturer with 15 years of experience, who thoroughly test all of their candles so they burn as bright as they can and as clean as they can. These particular citronella tea light candles can be used outdoors and indoors, because of the fact that they don’t give out any sooth or a really strong scent while burning. They weight only 0.35 ounces so they are in the size of standard tea lights, fitting any regular tea-light holder. 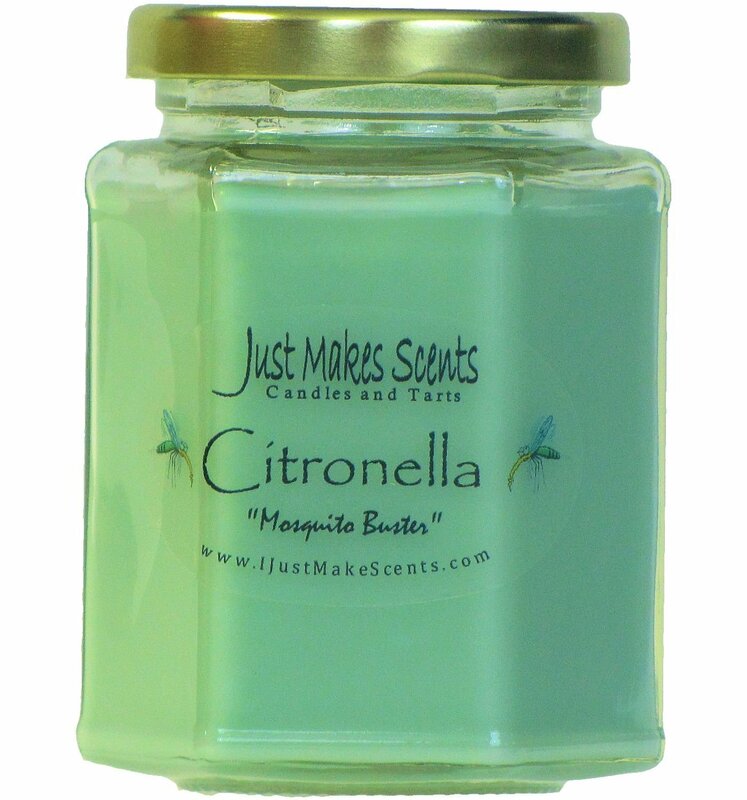 Because these candles are made from wax that is infused with citronella essential oil, they are natural and clean burning, but at the same time, the citronella oil serves as great mosquito repellent letting you live a mosquito-free life in a beautiful light of citronella tea light candles. They come in standard tea-light candle size, so they will fit basically any tea light holder. Because these are tealight candles, they each will burn only 4 hours. For a slightly larger candle than tealight candles, you can choose these citronella votive candles that are 1.25 inches in height and will fit great into most smaller candle holders. These particular citronella votive candles are made by a company called Light in the Dark, who is a huge candle manufacturer, making candles for all occasions from holidays to parties to everyday use. These particular candles are made from paraffin wax, but they have a quite distinctive citrus scent, which is a scent that mosquitoes and other insect despise, letting these candles serve as mosquito repellents, too. Like I mentioned before, they come in standard votive candle size, so they are able to burn for up to 10 hours without interruption. Which is great, because these candles can be used both outdoors and indoors, making them the perfect addition to any summer party, event or a quiet evening. 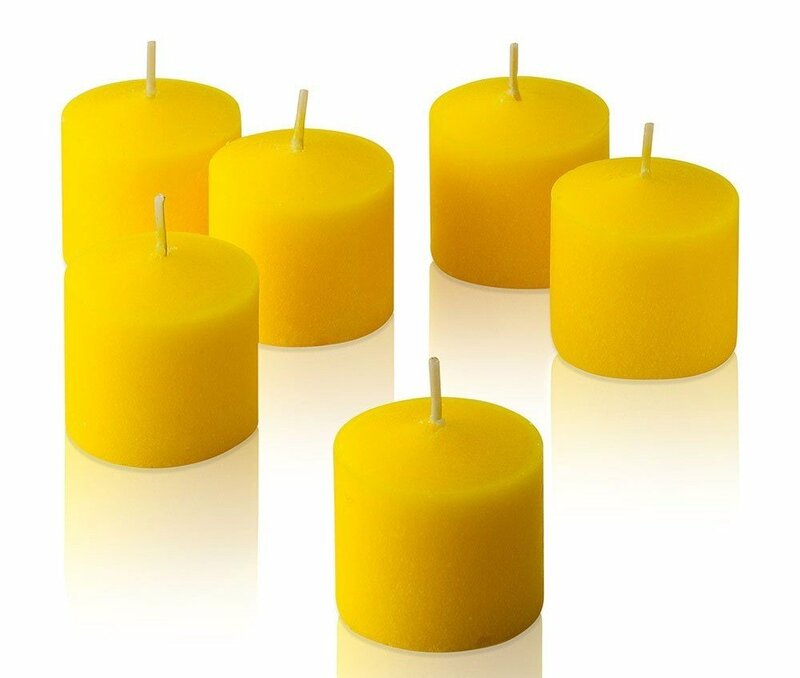 The candles come in yellow color so they will add brightness to any place where they are used, and because these citronella candles come in bulk – you can buy a pack of up to 72 candles – you will be able to get a lot of candle burning time for a small price. So chose to spend the summer without mosquitoes, gnats and other insects in your proximity, by using these citronella votive candles. The paraffin wax and the citronella scent will effectively repel mosquitoes, gnats and some other similar insects. If you want a candle that you can burn for multiple days, this won’t be it. 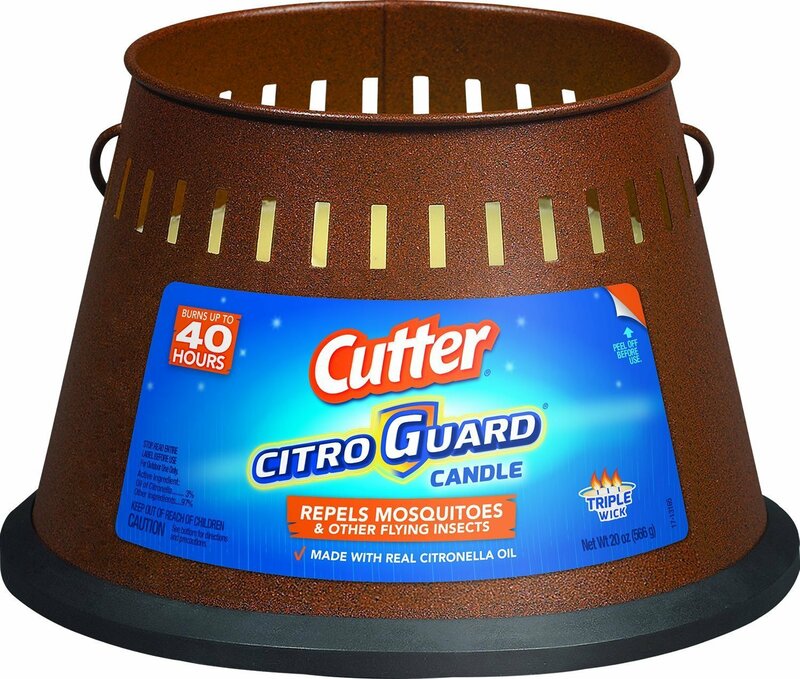 Another long burning and very efficient mosquito repellent candle is this CitroGuard Cutter bucket candle that is designed to serve as additional mosquito and other insect repellent measure for any and all outdoor spaces. It is made by Spectrum Brands Holdings, which owns many different brands, among which is also Cutter – a mosquito repellent product manufacturer. These bug candles are made from a combination of wax and real citronella oil that is emitted when the candle is lit and the wax is melting. And because of this, the candle repels mosquitoes and multiple other insect species that do not like citronella or its oil. So use this candle whenever you want to spend time outdoors but don’t want to bother with applying mosquito repellent of fogging your area with a mosquito fogger as these CitroGuarg candles can be very efficient. 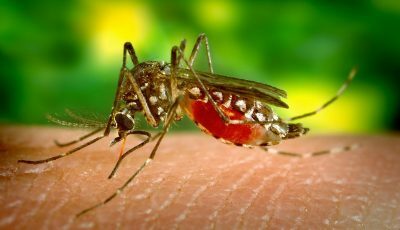 Just remember that nothing is 100% and you should still implement some other mosquito repellent technique to make sure that no mosquitoes come near you. Comes already in a special container that is in a shape that will prevent it from tipping and the candle from blowing out. The candle can be used only in the container that it comes in, so you cannot custom make the containers for it. 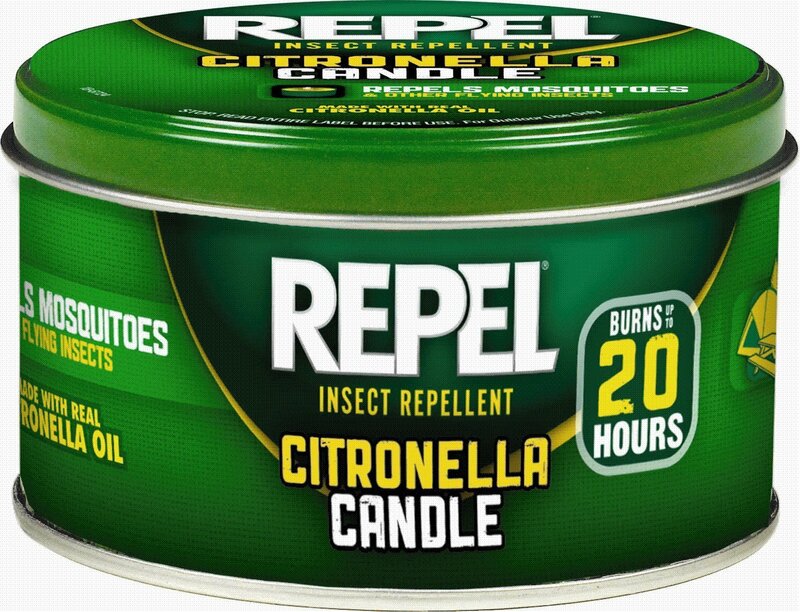 Another best citronella candle is also this Repel one what is manufactured by Spectrum Brands Holdings under the Repel brand that specializes in creating insect repellents for anyone that enjoys spending time outdoors. And this candle is no exception in their range of products, because this mosquito repellent candle that is one of the most efficient citronella candles, too, is perfect for outdoor use and will keep the mosquitoes and other flying insects at bay. It is able to do that because a wax and real citronella oil combination are used when these large citronella candles are produced. And since insects and especially mosquitoes don’t like the smell or even the presence of citronella, they won’t come near this candle and you, if you will be in close proximity to it. On top of that, this candle comes in a tin container completed with a lid, so you won’t have problems with storing it or transporting it, for example, if you want to use while camping. And one tin of this candle will last you approximately 20 hours, so you will be able to burn the candle almost an entire day without it burning out. Why not use something as simple as mosquito candles to repel them? The candle comes in a metal tin with a lid, so it is easy to transport or store if necessary. This candle is meant for only outdoors use, so don’t bring it in an indoor space. 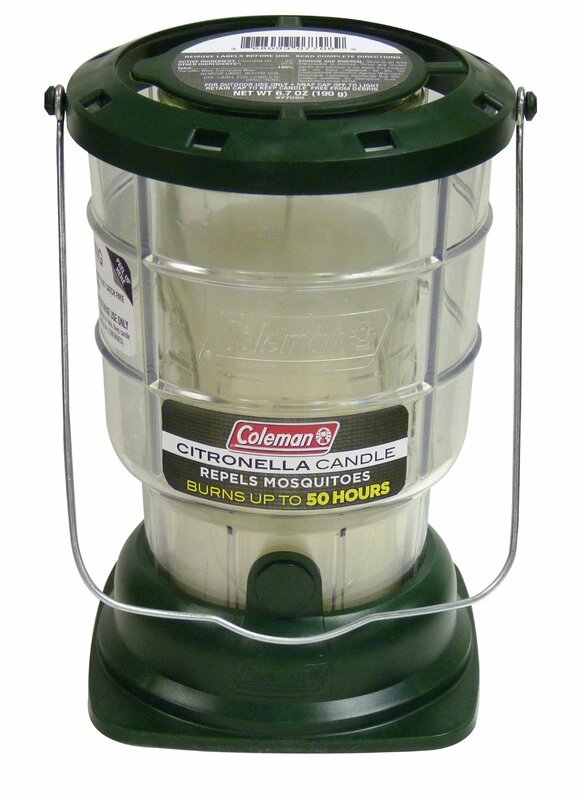 An interesting product is these citronella lanterns that are made by Coleman, which is a is an outdoors equipment manufacturer that makes everything from clothes, backpacks and hiking boots to grills, tents and of course outdoors lighting. And among these products there also are these citronella lanterns that feature the classic lantern design with a wire handle, so you can hold it up or hang it up it necessary. The design will look great in any garden, will add a romantic feel to any party, and will give additional light to a campsite without having to use flashlights. Inside the lantern there is a citronella candle that is made from wax and citronella oil combination so that while the candle is lit, it can emit this citronella oil, efficiently keeping mosquitoes away. The light that comes from the candle is a warm ambient light, and since the burn time for this candle is about 50 hours, then you will be able to use for multiple days, providing that your light doesn’t go out, like it can happen to a flashlight, and that you can spend time outdoors without mosquitoes bothering you. And the lantern also comes with a handle, so you can easily hold it or hang it up if it is necessary. Because it is a 50-hour candle, it is quite big and might not look as good on dinner tables and so on. 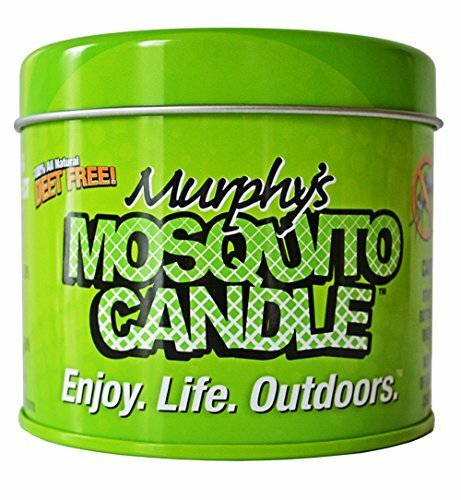 Another candle that can easily be called best citronella candle, because it is infused with multiple essential oils that repel insects and because it has quite long burning time, is this mosquito candle by Murphy’s Naturals. Murphy’s is a natural, DEET free mosquito and other insect repellent product manufacturer that makes many different products that can help you fight mosquitoes. And this citronella candle from them is no different, it is an all-natural, plant-based and DEET free candle that is made from palm wax and oils like citronella, lemongrass and rosemary ones are added to the mix, so you can have an efficient mosquito repellent in a candle form. These mosquito candles can burn up to 30 hours and they are equipped with cotton wicks that are specially made, so that they are wind resistant, not letting the candle to blow out even if it is extra windy outside. The candle comes in a tin can with a lid, so you won’t have a problem with transporting it or storing it when you aren’t using it. And part of every Murphy’s Naturals candle price gets donated to “Nothing but Nets”, which is a charity organization that fights malaria, so by purchasing this candle, you can help to get rid of one of the most common causes of death in 3rd world countries malaria. Murphy’s Naturals donates a part of each mosquito candle sold to a charity that fights against malaria. The candle is meant only for outdoor use, so don’t use it in an indoor space. 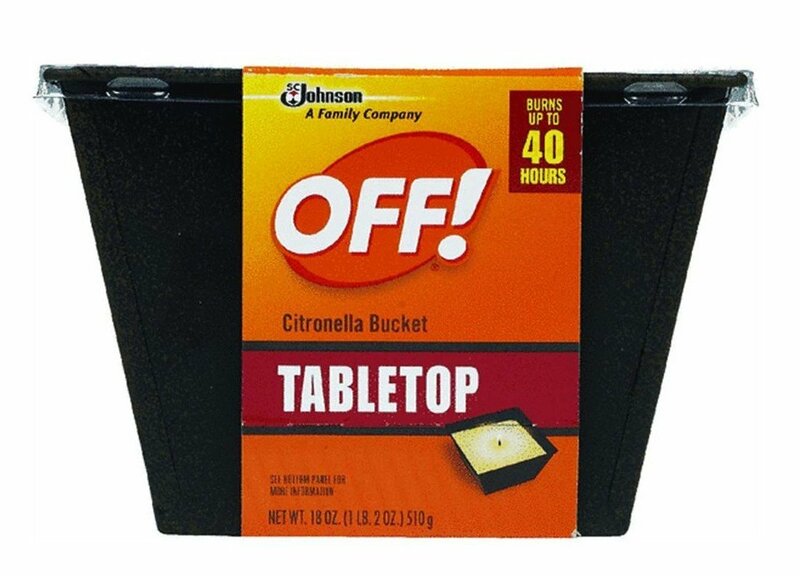 Then there is another so-called bucket candle that weighs about 18 ounces and that will serve you as a great additional mosquito repelling system, the OFF citronella candle by SC Johnson, which is a household product manufacturer making everything from home cleaning supplies to home storage equipment and of course also pest control products. These OFF candles although aren’t huge in size will still burn for up to even 40 hours because they are made with though wax for a long burning effect. Pair the long burning time with the fact that they are in fact able to repel mosquitoes, thanks to the fact that they are made from a mixture of soybean oil, palm oil, and citronella oil, and you get a winning combination for best citronella candle. Moreover, these OFF citronella candles come in classic and beautiful containers that are in black color, so the candles will look good not only stashed in the corner of your garden, but also on your dinner or patio table, repelling mosquitoes while allowing you to enjoy candlelight. Although the burn time of this candle is long, the candle isn’t that big in size, so it won’t take up much space. These mosquito candles won’t offer a 100% protection against mosquitoes. Almost all bug repellent candles that are made with citronella are meant for outdoor use, with only some of them suitable for indoors, which is why this candle is unique, because it is meant primarily for indoor use, but of course you can bring it outdoors if you wish, only then make sure that the weather conditions outside are mild. Made by I Just Makes Scents, a company that produces homemade and handmade soy candles, these ones are great all around investment if you want to have a mosquito free space. Like I briefly mentioned before, these mosquito repellent candles are made from soy, or more precisely blended soy wax that you get from soybeans. And there is a little citronella oil for candle added to this wax to give the candle a slightly citrusy, citronella like scent that is the reason mosquitoes don’t like this candle, making it an insect repellent candle. Because it is a soy candle with a paper fiber wick, the candle burns without smoke or any soot, which is the biggest reason why you can use this candle as an indoors candle. And the candle has the burn time of about 40 hours, so even you burn this candle for a whole day, it still will be only about halfway gone. These citronella candles are homemade, so you can be sure that they will be of best quality. They come in a glass jar that might not be the most durable packaging option. Mosquito repelling and control can prove to be a difficult task because you need to know the best ways to do it, to achieve great results. But one method, that many don’t consider as a good way to repel mosquitoes, but that is quite efficient, especially if you know what products to buy, is using mosquito candles to keep the mosquitoes away. So, learn which is the best citronella candle and which one of these candles will be most suited for you.